The football calendar has been packed almost to breaking point in 2014 with the end of the Premier League season followed by one of the most entertaining World Cup tournaments since France ’98. However, it seems like an eternity has passed since Phillip Lahm lifted the World Cup trophy on July 13th. 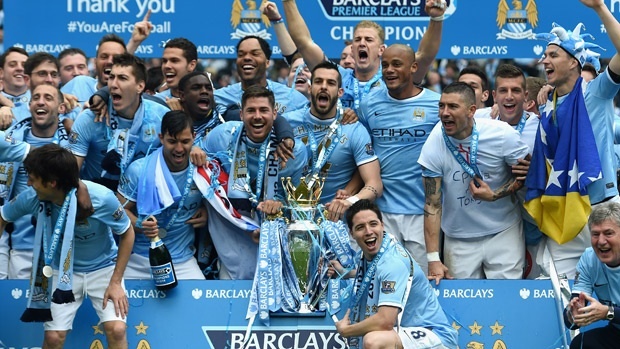 The Premier League is back and as usual, here is my take on the upcoming season. Last season proved to everyone just how open and unforgiving the bottom half of the Premier League table is. Several of the teams around the bottom could have been relegated. Crystal Palace were seemingly doomed at Christmas but under guidance of Tony Pulis, managed to survive and Gus Poyet worked miracles at Sunderland. Norwich, Fulham and Cardiff weren’t so lucky. Of the sides promoted from the Championship this time around, I believe only Queens Park Rangers have the playing staff required to stave off relegation with several experienced, Premier League players in the ranks. Leicester and Burnley on the other hand, don’t convince me. 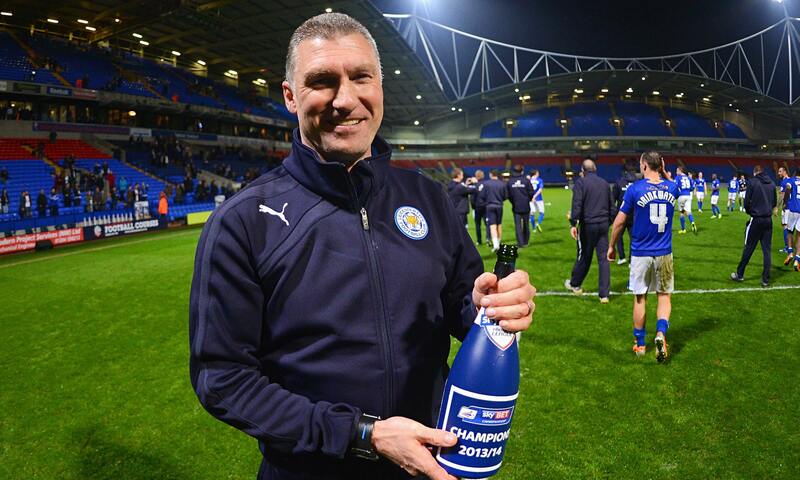 The Foxes have been toying with promotion from the Championship for a few seasons now and Nigel Pearson has done a fantastic job to secure the league title as well as promotion last season, but I don’t think they have the quality up front to survive. Dave Nugent is the only real stand-out forward they have in terms of Premier League experience and he never really inspired during his time at Portsmouth. Nigel Pearson took Leicester to the Championship title last season, but can he ensure the Foxes survive in the Premier League? Although, Burnley played some great football under Sean Dyche last season, I don’t feel they have invested anywhere near enough in the quality of their squad to make the step up to the Premier League. It seems the club are satisfied to have gained promotion but have resigned themselves to their fate very early on. Maybe it is a smart move in one sense, accepting relegation and millions of pounds in parachute payments and then build a squad capable of winning the Championship title and create a strong financial base before taking on the Premier League again? However, I can only see Burnley finishing in the bottom three this season. Tony Pulis’ shock departure from Palace two days before the start of the season has significantly shortened the Eagles odds to go down. The mass exodus at Southampton has also brought the Saints into the relegation frame alongside Aston Villa. In my opinion, Leicester, Burnley and Palace will be the three sides to be relegated during the coming season. At the outset, I feel there are two, leading contenders for the Premier League title this season in Manchester City and Chelsea. Defending champions, City have spent in relatively small quantities this summer compared to years gone by, but tying their key players down to long-term contracts could prove more important than money spent in transfer fees. Vincent Kompany, Sergio Aguero and David Silva being the most important players to have signed contract extensions and City look set to dominate English football for years to come. Manuel Pellegrini has built on his already strong base with solid signings to fill out the squad. Brazilian midfielder, Fernando from Porto, right-back, Bacary Sagna and goalkeeper and Willy Cabellero from Malaga have come on to replace the outgoing players. The only expensive signing has been £32 million French centre back, Eliaquim Mangala who has the potential to become a world class defender alongside Mateja Nastasic. This puts City in the driving seat to retain the title. 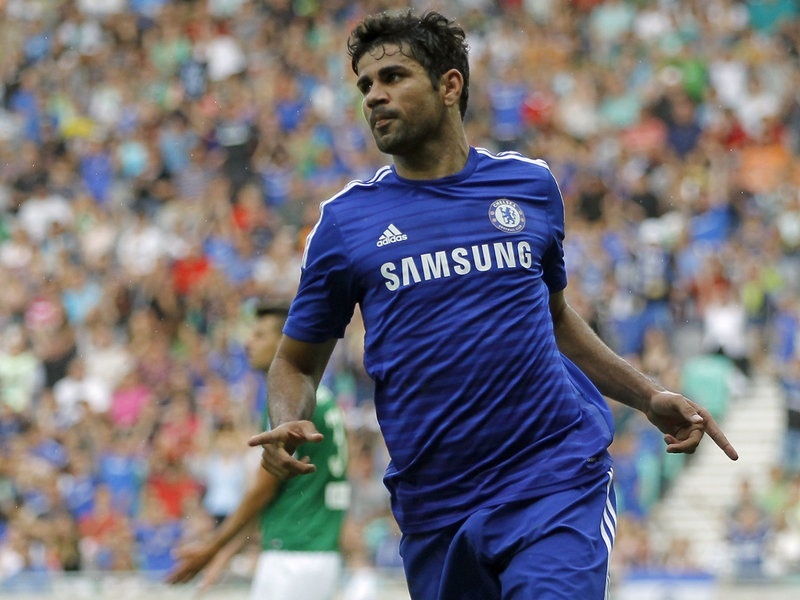 Chelsea have spent big once again this summer, raiding La Liga for Atletico Madrid’s Diego Costa and Filipe Luis and Barcelona’s Cesc Fabregas for a combined total believed to be in the region of £80 million. All three players fill key gaps in the Chelsea side, Costa provides the cutting edge, Fabregas becomes the orchestrator in central midfield and Luis is the direct successor to the outgoing Ashley Cole. These players could be the missing pieces of the jigsaw for Mourinho and could take his team to the next level, both domestically and in Europe. Therefore, I think the number one spot in the Premier League this season will be a straight fight between City and Chelsea. As you would expect, all of the usual suspects are here. However, I think Arsenal have the best chance to disrupt the battle between City and Chelsea. Arsene Wenger has strengthened his side with another big name signing this summer in Alexis Sanchez and the Chilean is tasked with providing more goal-scoring support to Oliver Giroud. Sanchez was particularly exciting at the World Cup and I’m looking forward to watching him play much more this season. On paper, Arsenal have the most creative bunch of players in the league with Mesut Ozil, Jack Wilshere, Aaron Ramsey, Santi Cazorla and now Sanchez, they could prove to be truly devastating this season. However, when it comes to playing against the top sides, I still have doubts over whether they have the defensive quality in at least one midfielder to break up opposition attacks? Mikes Arteta is definitely not the man for that job and Mathieu Flamini has shown in parts that he could do the job but he’s not the long term answer. Aaron Ramsey has gone someway to playing the defensive midfield role, but the Welshman was even better going forward last season. It seems to be a question which has been asked every season since the departure of Gilberto Silva but I suppose Arsenal fans must trust Wenger’s judgement on the subject. Liverpool have obviously lost their star man in Luis Suarez and that instantly plants a seed of doubt into the minds of many whether the Reds can replicate last seasons form. I’m not sure whether Brendan Rodgers’ tactics and style of play can garner the same success as it did last year, not just because Suarez has left but because teams were beginning to develop strategies to cope with Liverpool’s style of play and also exploit their openness at the back, I.e. The 3-3 draw with Crystal Palace. The 2014/15 season will be the perfect test to find out how adaptable and sustainable Liverpool’s style of play actually is under Rodgers and whether the his side can cope with the added pressure of Champions League football as well. However, I still think they’ll be able to maintain their top four place this season. Manchester United are still an enigma for me as I’m not entirely sure how the squad will adapt under another new manager. I’ve no doubt that Luis van Gaal is a great manager, his record speaks for itself and from what I saw of Holland at the World Cup, he has more than one plan tactically. 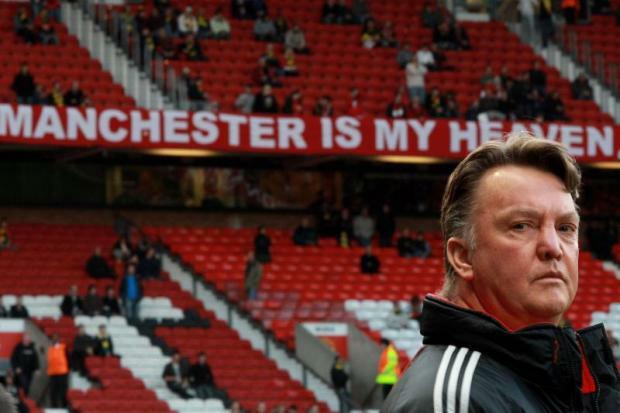 However, I don’t believe it will be the managers fault if United struggle again this season. Ed Woodward has again failed to deliver the signings required to take United back to the top. Luke Shaw and Ander Herrera have been the two major signings for United but there are still massive gaps that need filling in the squad with the departures of Rio Ferdinand and Nemanja Vidic. Although, I think United will do much better under van Gaal than Moyes, another transitionary period could mean another season outside the Champions League places. Roberto Martinez reinvented Everton last season, revolutionising their style of play and taking them back into European competition. 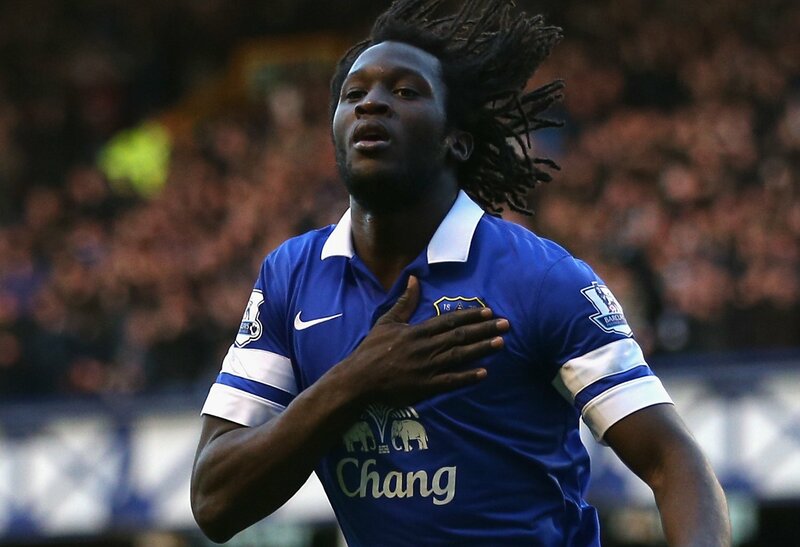 To the surprise of many, Everton managed to secure the permanent signing of Romelu Lukaku for a whopping £28 million. However, there is a slight fear in the back of my mind with Lukaku; over the last 10 years, Everton has proved to be somewhat a strikers graveyard I.e. James Beattie, Andy Johnson and Yakubu. However, that was the David Moyes era and this is the Martinez era. The battle at the top end of the table will be tough but I think Martinez is building a squad capable of competing domestically and in Europe. It remains difficult to see the Toffees improving on 6th place, but I think it’s highly possible they can equal that position this season. Tottenham Hotspurs new manager, Mauricio Pochettino proved his quality at Southampton and now he has the task of bringing Spurs back into the 21st century after life under Tim Sherwood. This season will be a transitionary period for the North Londoners, much like Manchester United and if Pochettino can find the right balance in his starting eleven there’s no reason he can’t replicate his success at Southampton. Christian Eriksen has a touch of class in the number 10 role and holding onto Jan Vertonghen could also prove invaluable for Spurs. The £86 million from Gareth Bale’s transfer to Real Madrid was frittered away far too easily and Pochettino now seems to have his hands tied as a result. Only Ben Davies, Michel Vorm and Eric Dier have come through the door (DeAndre Yedlin is joining the squad for the 2015/16 season) and they’re still missing a top quality striker who could make the difference. I feel it will be Everton and Tottenham battling it our for 6th place again. There are also a few notable mentions for other teams I think could do well this year. Newcastle have made some astute signings in the close season and if Alan Pardew can keep is head focused on managing his side rather than head butting opposition players then there’s every chance they could do well. Finally, Stoke City continue to try and shed their reputation as a long ball team and the signing of Bojan Krkic should add an extra element of creativity to Mark Hughes’ side. Overall, the Premier League has become even trickier to predict this season and there is a lot to live up to after the summer of football we’ve been treated to. The beauty of football lies in its unpredictability and on that basis, we should be in for one of the best seasons yet! Man U is back colleagues with no doubt the acquisitions made and some potential ones it will become a great empire oncemore. But please Man u consider grooming youngsters to avert the disaster that loomed during the last season. lets be focussed now.